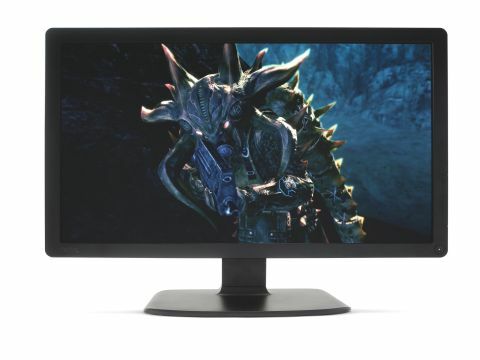 Has BenQ's smart 24-inch monitor been outclassed by one of its stablemates? Gaming aside, it's very hard to make a case for the V2410T with BenQ's VA-powered EW2420 on the scene. Spare a thought for the BenQ V2410T. Until recently, it was an extremely attractive 24-inch monitor. Not only does it sport a Full HD 1,920 x 1,080 pixel grid, but also packs an LED backlight and a fully adjustable stand. Not bad for around £160. Problem is, BenQ has only gone and launched the even more desirable EW2420, taking the 24-inch plus LED recipe and adding glorious VA panel technology to the mix. Incredibly, the new EW2420 actually sells for a bit less than the V2410T. However, what the V2410T and other TN-powered panels such as the LG E2350 have going for them is superior pixel response. What's more, over the past 12 months TN technology has closed the gap to other panel types in terms of colour vibrancy and contrast. Maybe this TN fuddy duddy can teach its new VA sibling a few tricks after all.